What Goes on Shrimp Shish-Kabobs? Skewer the shrimp twice to keep it in place. Shrimp kabobs make a delicious addition to dinner or lunch. Serve them alone or on top of a bed of rice, pasta or salad. Added to a steak dinner, shrimp kabobs turn it into a Surf and Turf meal. Soak wooden skewers in a pan of water for at least a half hour before grilling. If you are baking the shrimp kabobs in the oven, you do not need to soak them. Metal skewers also work for kabobs, but don't need to be soaked.. Also, if using an oven, this is a good time to preheat it to 350. 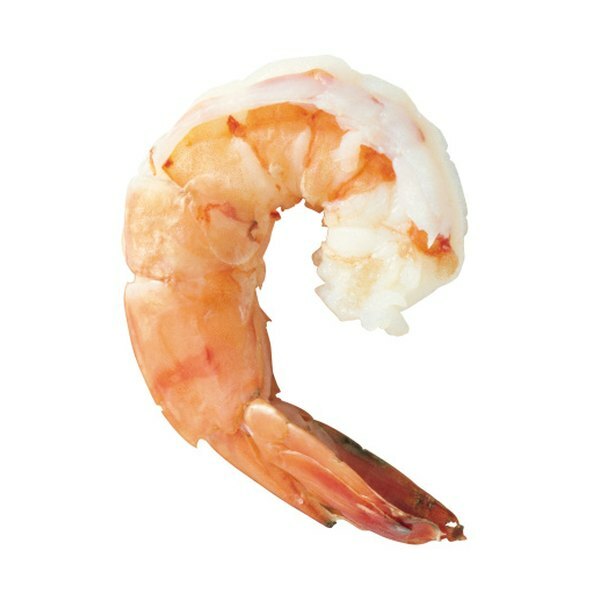 Hold one shrimp so that it resembles the number 6. Thread the skewer through the shrimp so you hit the meatiest part of the shrimp and the tail. Each shrimp should be pierced twice in this manner. Leave about a half inch between pieces of shrimp. Brush melted butter on the shrimp kabobs. Sprinkle Old Bay seasoning and lemon pepper on both sides. You can add a squirt of fresh lemon juice to your shrimp kabobs instead of the lemon pepper. Place on a medium hot grill, or bake uncovered in the oven at 350 degrees Fahrenheit. Turn kabobs once during cooking. 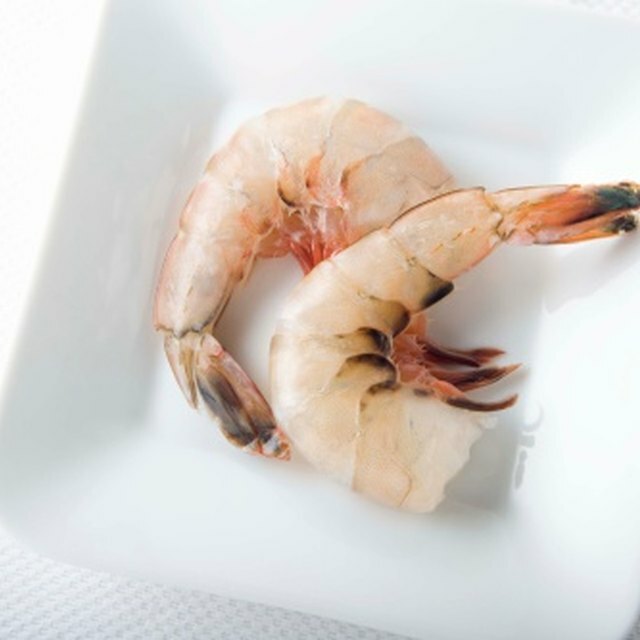 Shrimp is done when it takes on a pink opaque appearance, which usually takes around 10 minutes or less on a grill and about 10 to 15 minutes in an oven. You can add vegetables, tomatoes, onions or mushrooms to the shrimp kabobs.